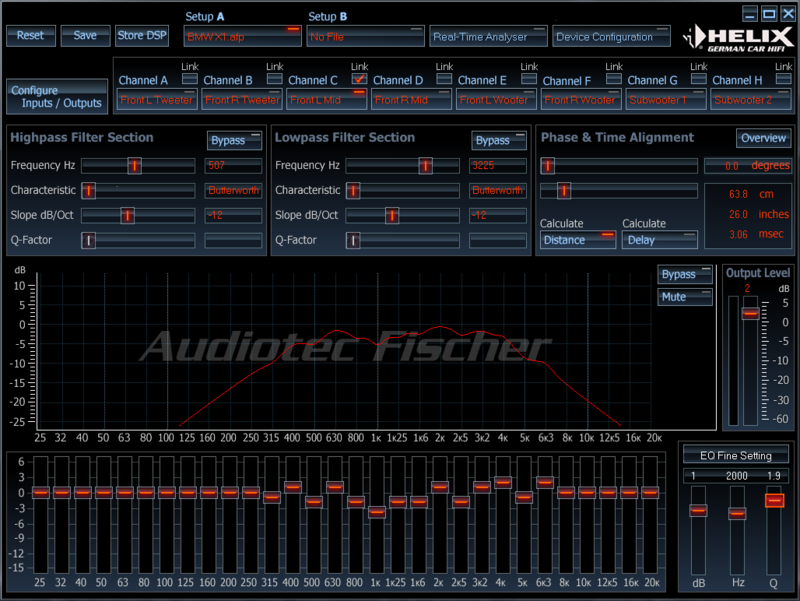 The DSP PC-Tool V2 software is used to configure Audiotec Fischers' DSP products via a simple and easy-to-use graphical user interface. Attention:During a firmware update, all saved data (sound setups) will be erased and set to factory defaults. We strongly recommend that the volume be set to its lowest level before starting the update. For standalone DSPs, we strongly recommend that you switch off or disconnect the amplifiers connected to the DSP before starting this update process, to avoid damage to your speakers or amplifiers.